Over 5 billion people around the world own a mobile device/smartphone. Due to such a high number, using SMS text messaging for survey invites and 2-Factor Authentication via text message are key features for a community platform. These will improve the security of your community and also skyrocket both open and response rates. 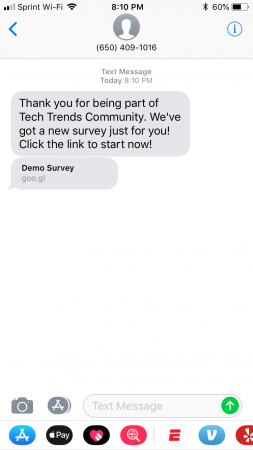 An SMS survey invite is a seamless way to send an invite to your members in order to better gather valuable feedback from your members, improve your product or service, and ultimately grow your business or organization. Partner this feature with the ability to set up 2-Factor Authentication, it’s the best move you can make to not only ensure your members are legitimate but also improve response rates. Let’s take a deeper dive into both of these features. Two-factor authentication is a security feature to make sure the appropriate member is in your community and completing the surveys. No more questioning if your members are who they say they are. When joining the community, new members have the opportunity to input their mobile number in the signup form and receive a text message with a unique code. After inputting this code, their number is linked, and they are a verified member. This is an alternative method to the double opt-in email. Improves the security of your community. Reassurance that the member signing up is who they claim to be. Increases the number of valid members of your community. Once your members have given permission to participate, they are now ready to receive your survey link on their mobile device via SMS text message. The platform allows you to send out surveys you create from scratch or pulled from our extensive library of questions. After opting into receiving SMS surveys, here are some benefits of using an SMS survey over sending by email. Here’s a deeper look at the benefits of using these features. Think about the last time you received a text message and did not open it. Now think about the last time you saw an email in your inbox and did not click on it. This is one of the reasons surveys sent through SMS have an open rate of 98%, and response rate of 45%! In comparison, surveys sent via email have a 15% and 30%, respectively. Capture your audience’s attention immediately with a consistent, user-friendly mobile site experience, engage with members while they are on the go, and capture feedback quickly. 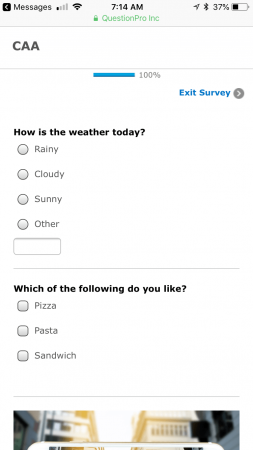 When a survey is sent via email, many issues could happen with your survey invitation. From ending up in spam filters, accidentally being deleted, or buried among dozens of emails received that day. I’m sure most of those things have even happened with you! With SMS surveys, members are more likely to view the message multiple times and complete at a time that works for them. Want more info? Contact us today to learn more and start using these features! SurveyAnalytics Communities is a purpose-built community insights panel solution. Our feature-rich toolset is at your disposal to help you create engaged communities, collect real-time customer insights, and positively impact your business. Learn more and contact us today.